In this guide, we’re going to take a look at HashSet class from Java Collections Framework. We will learn all the APIs that HashSet implementation offers. HashSet class implements the Set interface, backed by a hash table (actually a HashMap instance). It makes no guarantees as to the iteration order of the set; in particular, it does not guarantee that the order will remain constant over time. This class permits the null element. 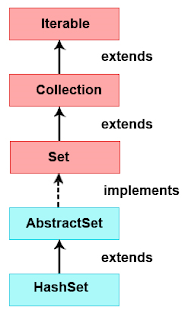 HashSet implementation is not synchronized - If multiple threads access a hash set concurrently, and at least one of the threads modifies the set, it must be synchronized externally. This guide covers important HashSet implementation API with examples. All the APIs referred from HashSet JavaDoc. The Set interface contains only methods inherited from Collection interface and adds the restriction that duplicate elements are prohibited. A Set that contains no duplicate elements. More formally, sets contain no pair of elements e1 and e2 such that e1.equals(e2), and at most one null element. List can contain duplicate elements whereas Set contains unique elements only. The example below shows how to create a HashSet using the HashSet() constructor, and add new elements to it using the add() method. 5. Demonstration of How the Set contains duplicates and null values? Iterate over a HashSet using Java 8 forEach and lambda expression. Iterate over a HashSet using iterator(). 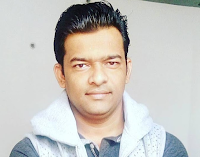 Iterate over a HashSet using iterator() and Java 8 forEachRemaining() method. Iterate over a HashSet using a simple for-each loop. This example shows how to create a HashSet of user-defined objects. 9. How to make HashSet thread safe? This class implementation is not synchronized so it is not thread-safe. If multiple threads access a hash set concurrently, and at least one of the threads modifies the set, it must be synchronized externally.HashSet must be synchronized externally.